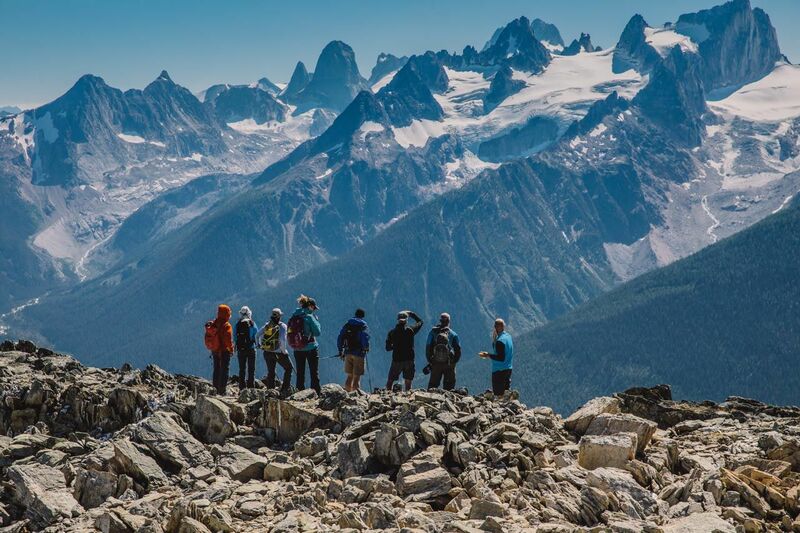 Not too far from Banff, Alberta, just across the provincial border in British Columbia, you can scale to the top of a mountain that otherwise would only be accessible to highly trained mountaineers. 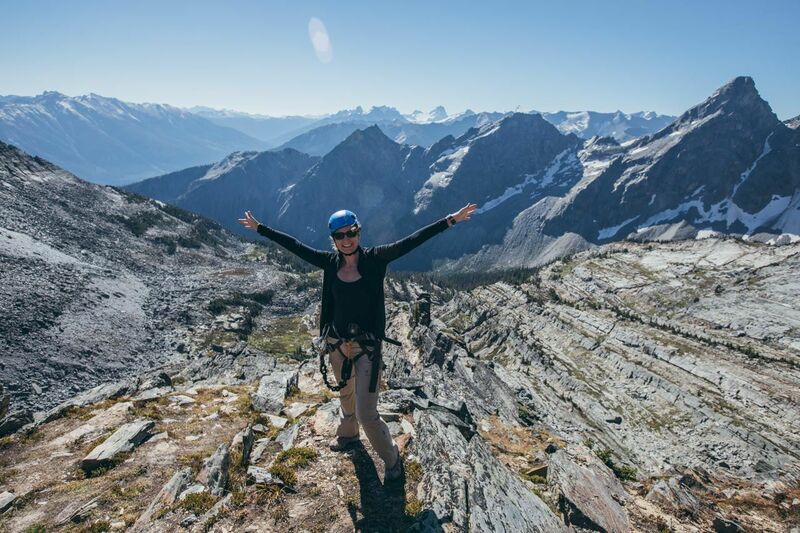 This is thanks to CMH Heli-Skiing & Summer Adventures, who spent 3 years researching and building a via ferrata to access the peak of Mt. Nimbus in BC’s Columbia Mountains. Via ferratas (Italian for “iron road”) first made their appearances around the time of WWI as a means to traverse dangerous mountain terrain. Today they’re replicated around the world for recreation. 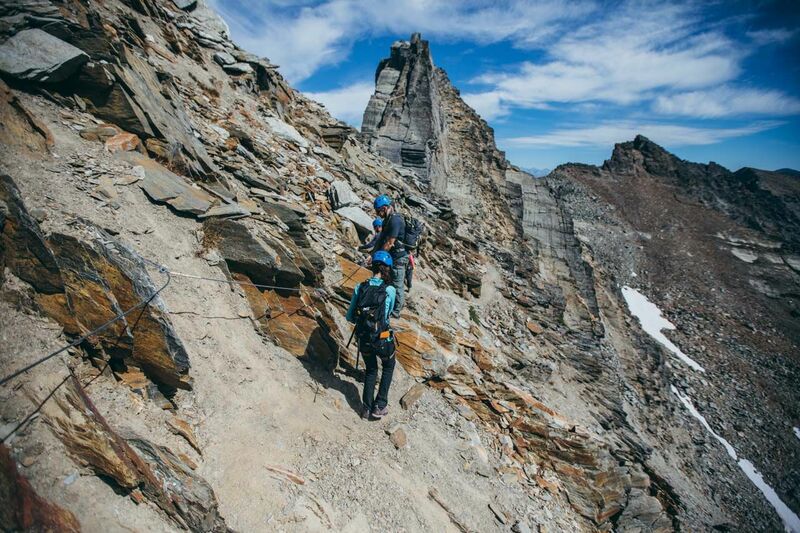 The via ferrata to the top of Mt. 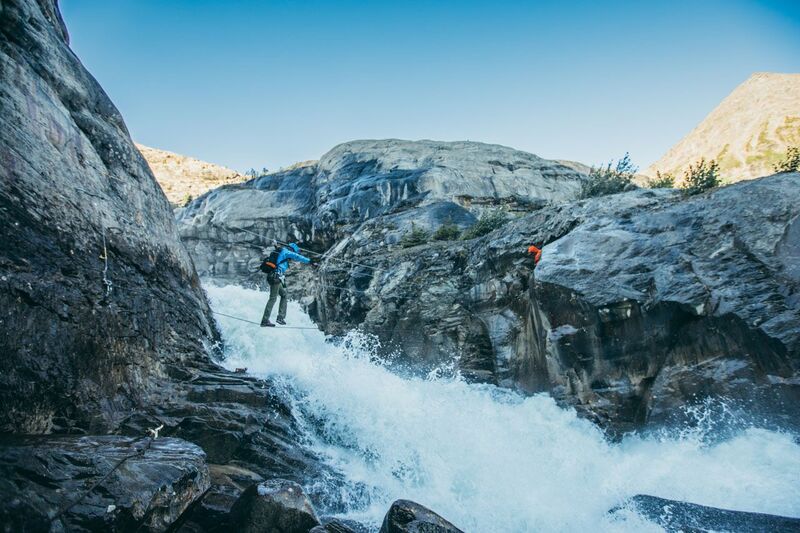 Nimbus is North America’s longest route of its kind, and it’s absolutely epic. 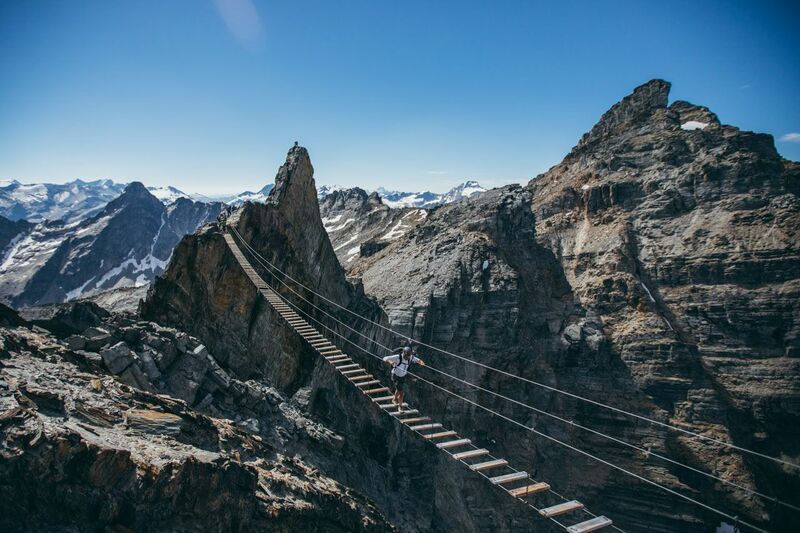 On the route you’ll be climbing up steep and exposed mountain features on iron rungs and crossing suspension bridges, the crowning one being the one right before the peak at 3300 feet high. 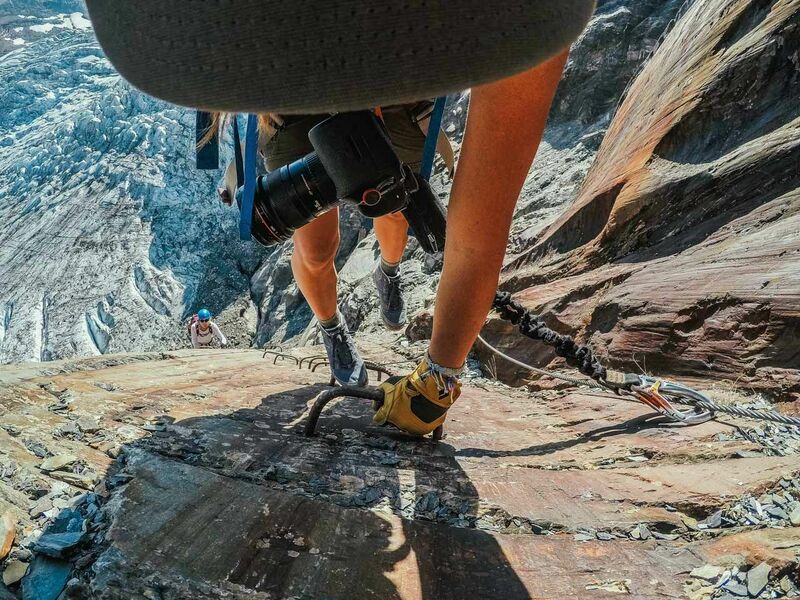 But it’s completely safe as you’re harnessed and tethered into lines the entire way that are designed to take force way beyond any human could create. 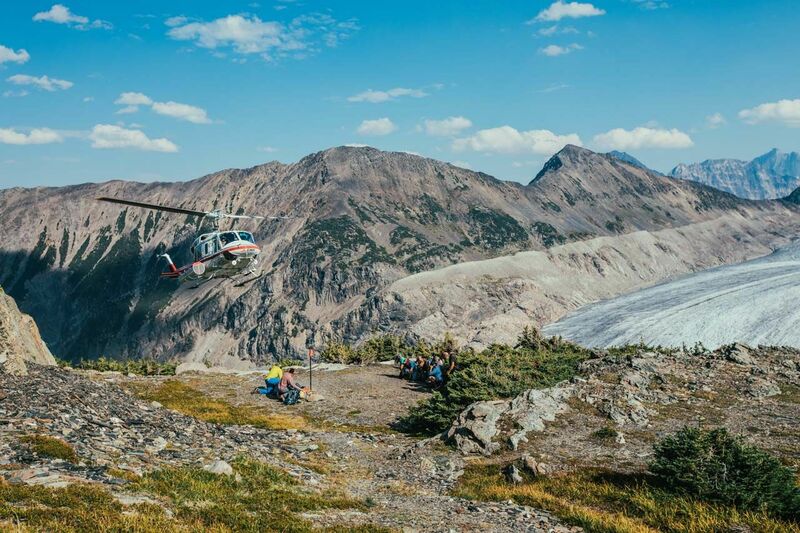 The adventure starts at CMH’s Bobbie Burns Lodge, where you get helicoptered in from Golden, BC — less than a 3-hour drive from Calgary. The luxurious lodge has spa services including massage, a whirlpool and sauna, a climbing room, gourmet meals, wine tastings, and a bar. 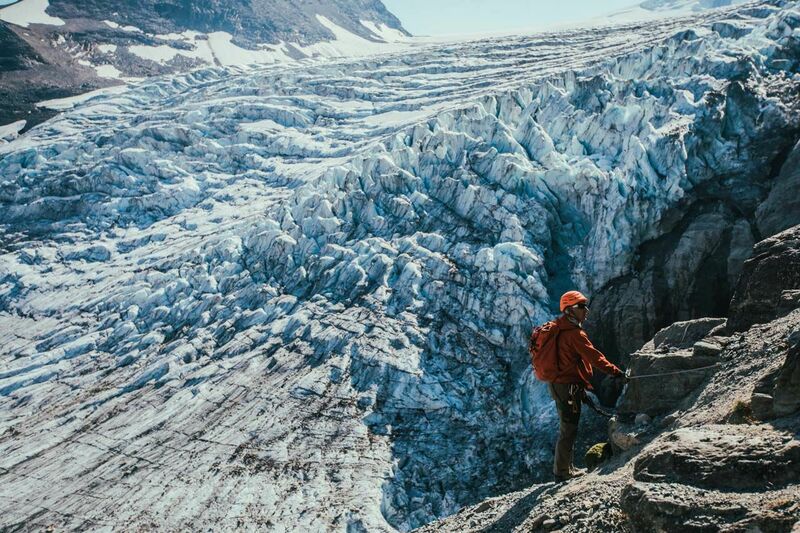 Other summer adventures from the lodge include heli-hiking — getting dropped off by a helicopter to hike high up in the mountains — and trekking to the Conrad Glacier, a combination hike and via ferrata. 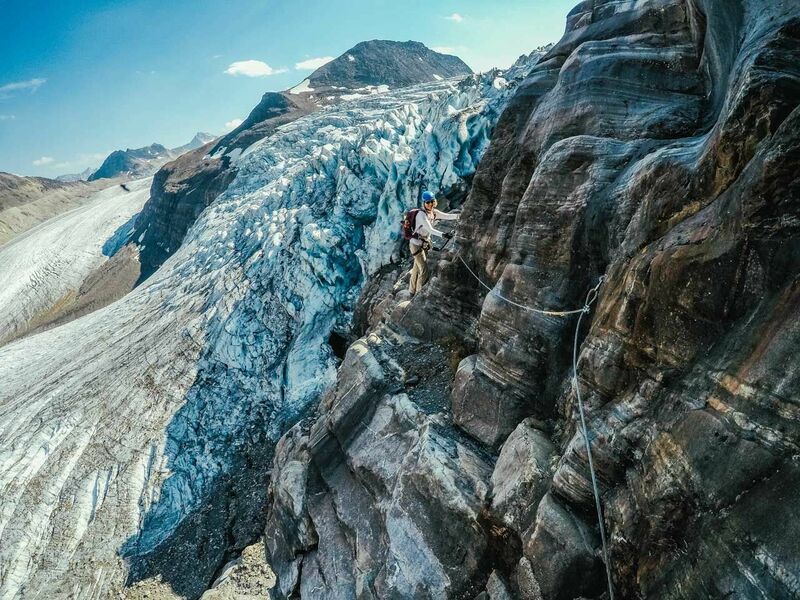 While the route is available to non-experienced climbers, it’s not without challenge, both physically and mentally. Be prepared! 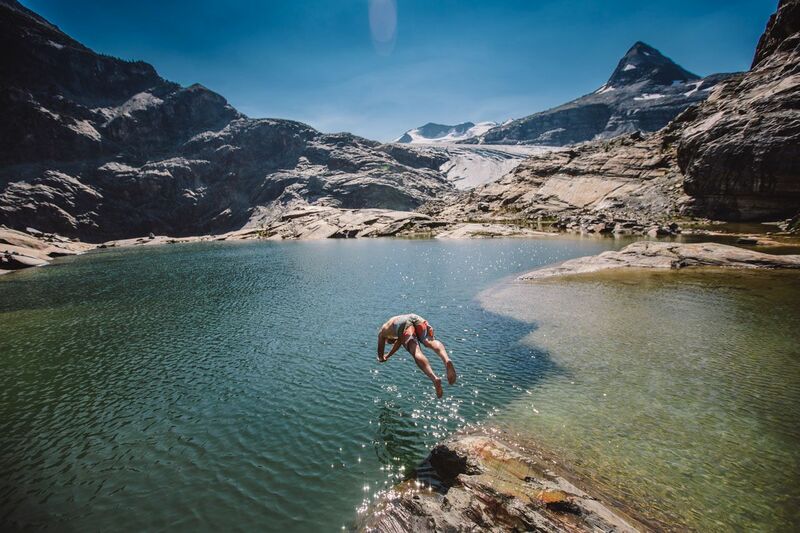 Getting to the Conrad Glacier is an adventure in itself. 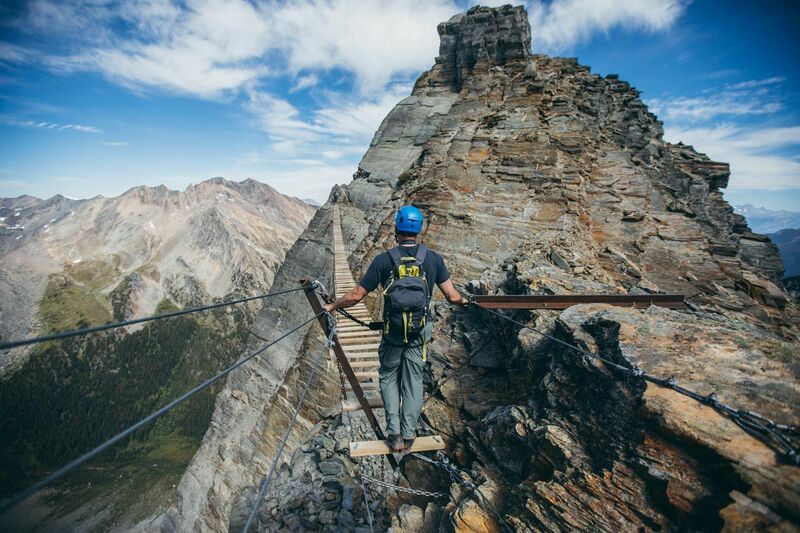 There’s ziplining over raging creeks, crossing cable bridges, and climbing a via ferrata’s steep walls. It’s absolutely gorgeous. 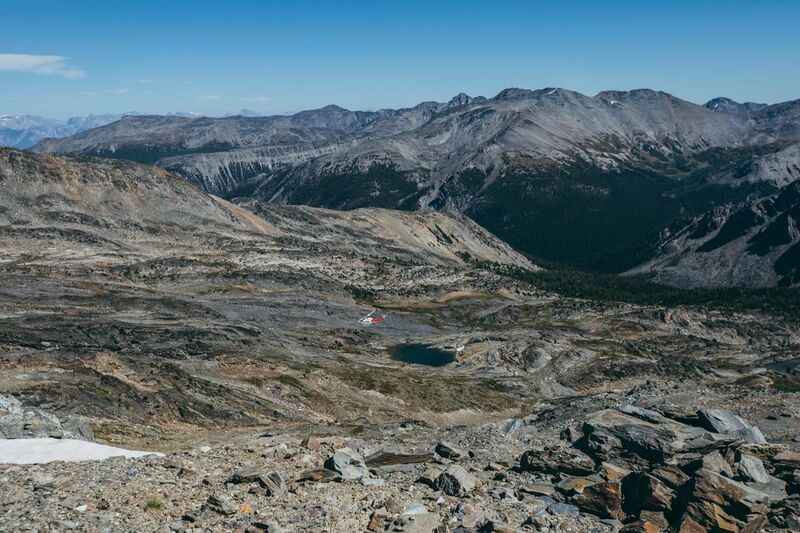 There are several options for sightseeing and hiking way up among the peaks, accessible only by helicopter.